“I just finished the last of the Livermore coffee. I guess it’s time to go home,” my mother said on the morning she flew back East. Since she was flying into Hurricane Sandy, I was even less happy about her leaving than I normally am. The flight went well, Sandy didn’t cause much damage in her part of Maryland, and we’re already planning next year’s visit. That’s the good news. The interesting news is the thought train her joking comment produced. No one here drinks coffee, so I only buy it when my mother comes to visit (we have a coffee maker just for her – it lives in the garage 50 weeks out of the year). Buying the right amount of coffee to last her entire trip is a fun challenge, which I usually lose. The same is true of fabric buying – do you get only enough for the project at hand, or do you buy extra? If I buy exactly what I think I’ll need that guarantees I will miscalculate, mis-measure, and mis-sew. If I buy more, the project will come together perfectly and I’ll discover I don’t like the fabric at home nearly as much as I did in the store. I also thought about the emotional reaction I have when a sentence starts, “This is the last of . . . .” There will be tears shed when I have to say, “This is the last of the Halloween candy.” I don’t always have that reaction to the last of a fabric, no matter how much I loved it. 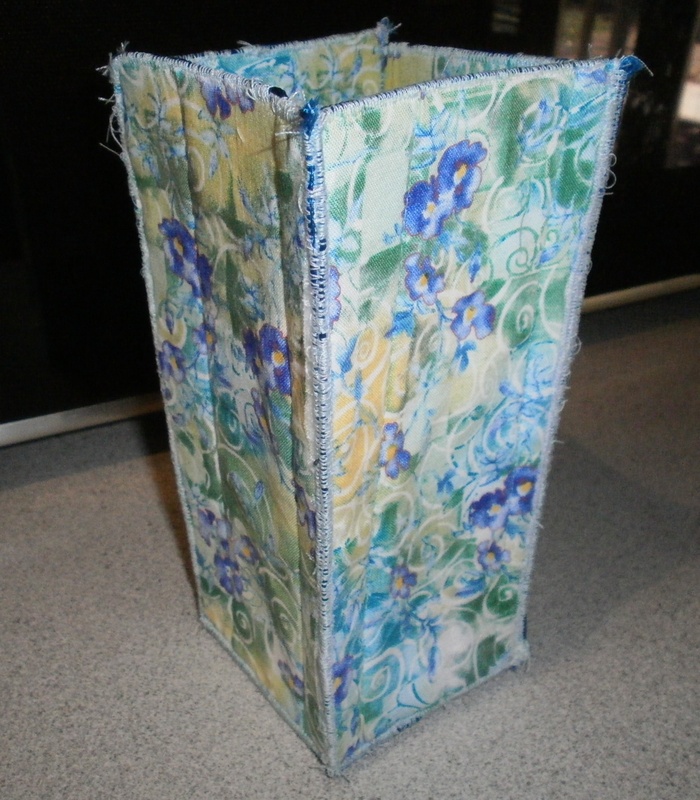 There are times, however, when the last of a certain fabric sends me into a tizzy. I have strips and squares on the side of my batting wall, the last bits of fabric I adored and can’t seem to let go. Mom loved it, but had already stuffed her suitcase and carry-on bag. This may end up in her Christmas box. 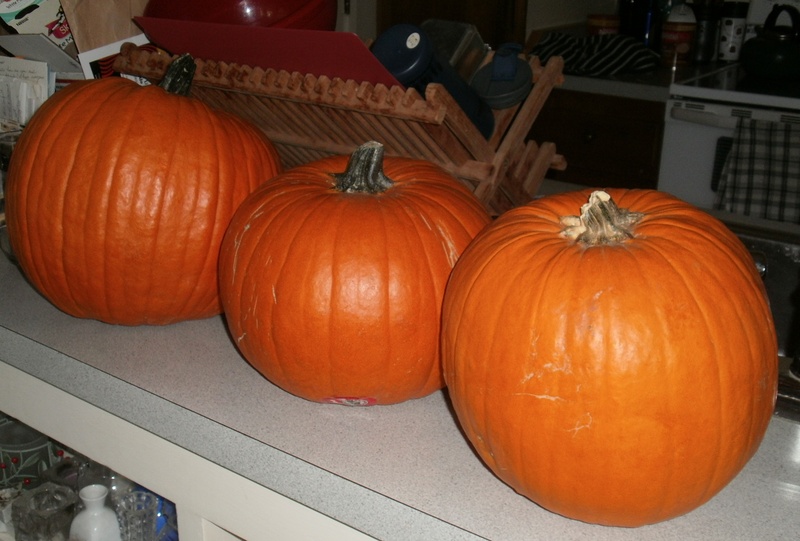 With both the kids home, I bought a pumpkin for each of them and one for me. Some traditions are too much fun to let go. 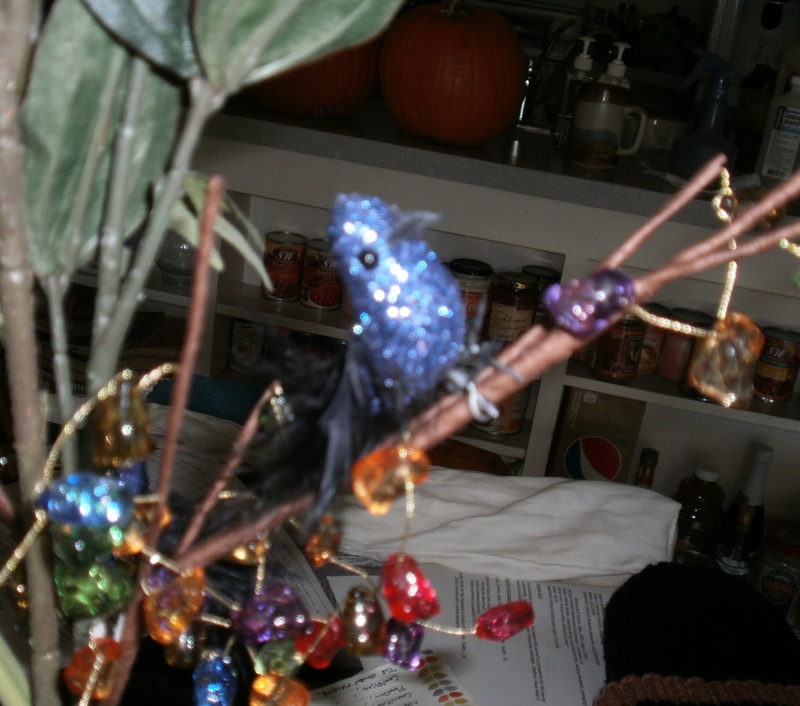 A fuzzy Halloween bird for you!